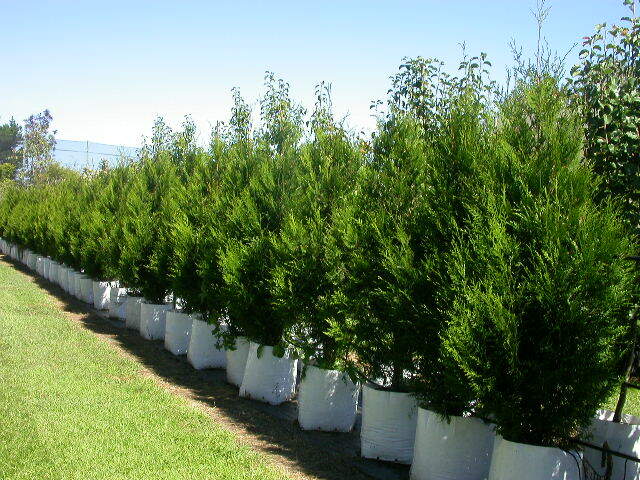 Dark green dense foliage with a conical growth habit. 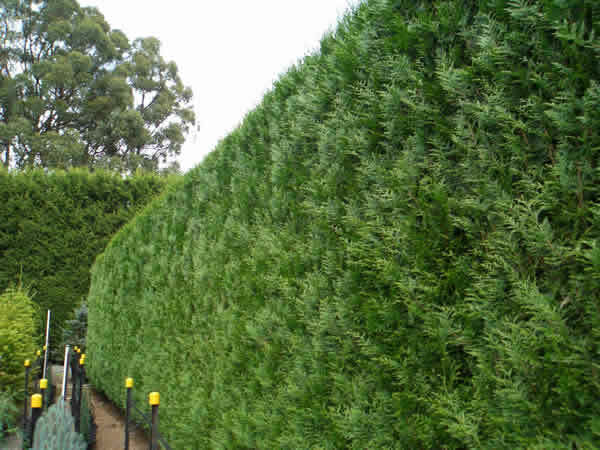 An excellent screen or hedge. Prunes well and comes back from dormant buds when hard pruned to bare wood. Best in full sun, prefers rich moist soils but once established is drought hardy.